These were a pretty good treat. They were chocolatey and sweet, but according to my husband not chocolatey enough. Another tablespoon of cocoa could fix this without adding too many calories. Come to think of it, using Hershey's Special Dark could fix the chocolate factor even without adding more. 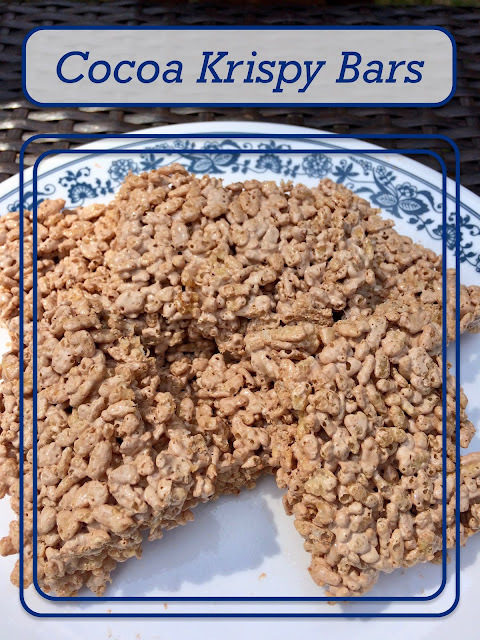 The use of marshmallow creme helped to lower the calorie count versus using marshmallows, and it was good, but not quite like a regular rice crispy treat. To save a few calories, though, not a bad option! Find the original recipe on page 29: 100 Favorite Weight Watchers Recipes. Line a 13x9 pan with wax paper. Melt butter and baker's chocolate in a large saucepan over low heat. Add marshmallow creme, cocoa and vanilla. Stir until smooth. Remove from heat and add cereal. Spread mixture in pan and let cool for 10 minutes. Cut into 24 squares. 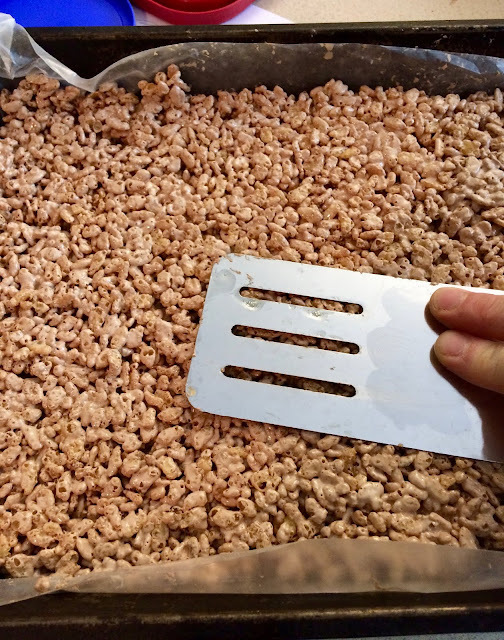 Using a spatula sprayed with nonstick cooking spray helps to press the treats without getting sticky fingers.